Information: Lisa C. Arkin, author of works discussing the confluence of folk and classical dance, in other words, the influence of folk dance on the development of ballet. Arkin, Lisa C. and Marian Smith, "National Dance in the Romantic Ballet," in Rethinking the Sylph: New Perspectives on the Romantic Ballet, ed. Lynn Garafola (Hanover: Wesleyan Press, 1997) pp. 11-68. Arkin, Lisa C., "The Context of Exoticism in La Cachucha, Paris, 1836," Dance Chronicle, Vol. 17, No. 3, 1994, pp. 303-326. Arkin, Lisa C., "Dancing the Body: Woman and Dance Performance," Journal of Health, Physical Education, Recreation and Dance, Vol. 65, No. 2, 1994, pp. 36-38 & 43. 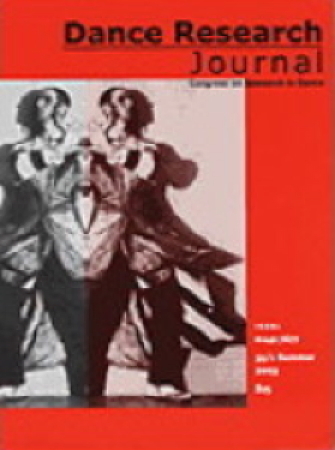 Arkin, Lisa C., "Bronislava Nijinska and the Polish Ballet, 1937-1938: Missing Chapter of the Legacy," Dance Research Journal, Vol. 24, No. 2. 1992 pp. 1-16. Arkin, Lisa C. "Dancing Data: Multimedia Technology and Dance Ethnology," Proceedings of the Society for Dance History Scholars 1994 , Brigham Young University, pp. 299-302. Arkin, Lisa C. "National Dance in Michel St. Leon's Dance Notebooks, Wurttemberg, 1830," in the Proceedings of the Society of Dance History Scholars 1997 Barnard College, New York, pp. 129-136. Arkin, Lisa C. "Continuity in National Dance Technique in Early Nineteenth Century and Early Twentieth Century Sources," in the Proceedings of the Society of Dance History Scholars 1998, University of Oregon, Eugene Oregon, pp. 67-77. "Three Polish National Dances from Early Nineteenth Century and Early Twentieth Century Sources" archived at the New York Public Library Dance Collection. This video documents Lisa's reconstruction of three Polish dances notated by ballet masters Michel St. Leon and Louis Chalif.